The United Nations University project on Technology Transfer, Transformation, and Development: The Japanese Experience was carried out from 1978 to 1982. Its objective was to contribute to an understanding of the process of technological development in Japan as a case-study. The project enquired into the infrastructure of technology, human resources development, and social and economic conditions and analysed the problems of technology transfer, transformation, and development from the time of the Meiji Restoration to the present. The research was undertaken by more than 120 Japanese specialists and covered a wide range of subjects, including iron and steel, transportation, textiles, mining, financial institutions, rural and urban society, small industry, the female labour force, education, and technology policy. This volume presents research results on the negative side-effects of Japan's rapid technological and industrial development since the Meiji period. 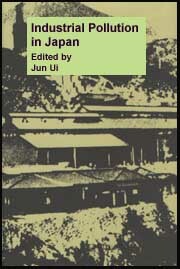 The production and printing of this volume was made possible by a grant from the University of Okinawa. The United Nations University also gratefully acknowledges the generous support of the Japan Foundation for the United Nations University in the publication of this book.